We’re delighted to announce our main speakers for our annual conference, Speaking Truth to Power. We hope this will set the tone for the conference as we look at how we can effect change from a grassroots level. Almost two years on from the Grenfell Tower fire, Moyra will give her perspective on the human rights lessons we all need to learn from this avoidable tragedy. She will also focus on its implications for all housing organisations and tenants. 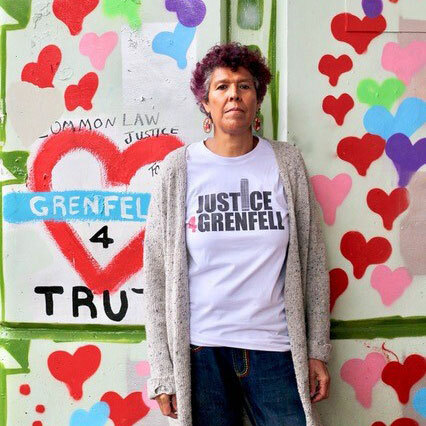 Moyra is one of the founding members of Justice4Grenfell. This is a community-led organisation focused on the long term goal of obtaining justice for the bereaved families, survivors, evacuated residents, and the wider local community. Their ultimate aim is to ensure that such an event never happens again. Born in South Africa, Moyra is a teacher, local activist, and a key member of the NW London Stand Up to Racism group. Moyra will give her perspective on the human rights lessons we all need to learn from the avoidable tragedy of Grenfell Tower. She will also focus on its implications for all housing organisations and tenants and the importance of truly listening to community voices. Jo Cox MP said that “we are far more united and have far more in common with each other than things that divide us”. When uncertainty, division and distrust seem to be pervading through our communities and debates, how do we continue working together and sharing power to tackle inequality and poverty? Hear Aled’s take on working with and within our rapidly changing society. Aled comes from Trawsfynydd, Gwynedd and was a student of History and Theology at St David’s University College, Lampeter. Aled is the Chief Executive of Cytûn has a strong interest in issues concerning asylum seekers and refugees, race relations and equalities and human rights. He was Chair of the Welsh Refugee Council (2005-06), a member of the Equal Opportunities Wales Advisory Committee, and was Wales’ Commissioner on the Commission for Racial Equality (2006-07). 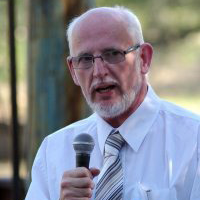 He is Chair of Displaced People in Action, one of Wales’s most active asylum and refugee organisations, and is a member of the Wales Committee of the Equalities and Human Rights Commission. In June 2006, Aled received an OBE for his charitable services in Wales. Click here to find out more and book your tickets for Speaking Truth to Power.